BERLIN - A local man is the new Republican candidate for the 30th state House District seat, challenging House Speaker Joe Aresimowicz. Michael Gagliardi, 47, of Berlin, who has a managerial position at a West Hartford Walgreens store, replaces Steven Baleshiski of Southington, who withdrew his candidacy after receiving criticism over Facebook posts. 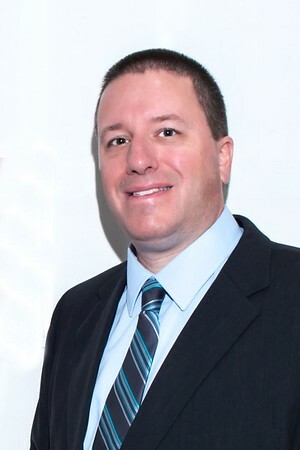 Gagliardi, a graduate of Central Connecticut State University, originally filed paperwork with the State Election Enforcement Commission in April, but withdrew his candidacy after learning that the Berlin Rite Aid store at which he was then working was being bought out by Walgreens. Gagliardi, who is married with an 11-year-old son, said that, at that point, he didn’t know if he would have a job come June, but he later was offered a job with Walgreens. When the GOP candidacy was vacated, he decided to step up again, he said, believing that no elected official should run un-opposed. Preventing the reintroduction of tolls on state roads and trying to have an agreement with the State Employee Bargaining Agent Coalition renegotiated are among his proposed solutions. His issues with the signed contract with SEBAC include about $40 million in bonuses, including $2,000 that he said employees covered by the agreement get for, basically, showing up, as well as the ability of employees to be paid for overtime work and use those overtime hours toward their pensions. Gagliardi said he is a big advocate of being proactive on school safety. He said would work with other representatives and find out what solutions have worked for them and what could work locally. He plans to attend a breakfast in Southington to hear more about that town’s specific issues, he said. Gagliardi said he is aware of current political events and has written letters to the editor to several newspapers. Gagliardi met the deadline of Tuesday to become a replacement candidate and will have his name on the ballot. The State Elections Enforcement Commission is meeting Friday to discuss whether his campaign will receive state financing, which could be as much as $11,260. Gagliardi’s uncle is Loren Dickinson, who served in the seat Gagliardi is campaigning for, for two terms starting in 1982. Dickenson was also deputy mayor for the town between 1973 to 1977. Aresimowicz said he hopes the new campaign will not be a negative one like the last one under Baleshiski and the two candidates can focus on the issues. Aresimowicz added he’s happy to have a debate or forum with Gagliardi at anytime to discuss them. Posted in New Britain Herald, Berlin, Southington Herald on Wednesday, 17 October 2018 21:18. Updated: Thursday, 18 October 2018 00:29.